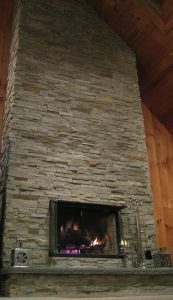 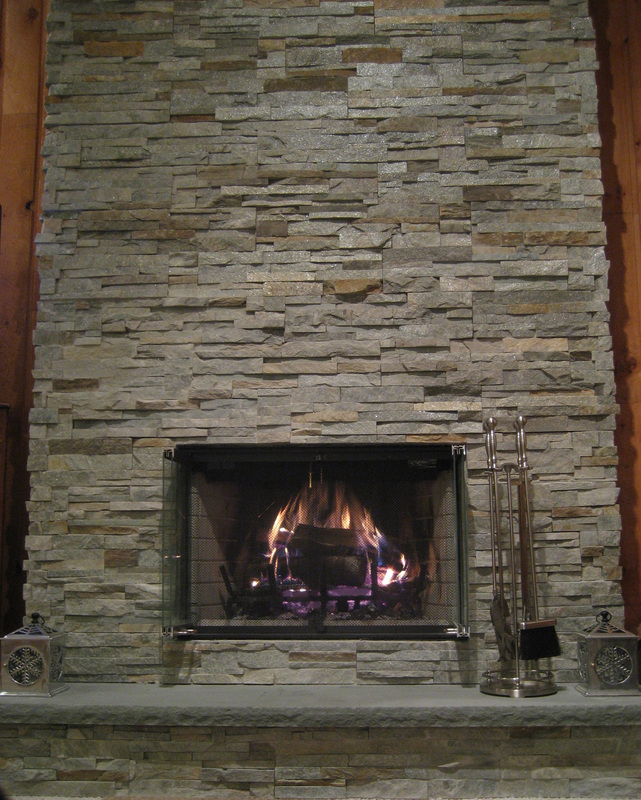 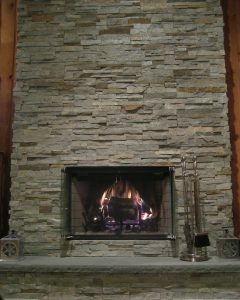 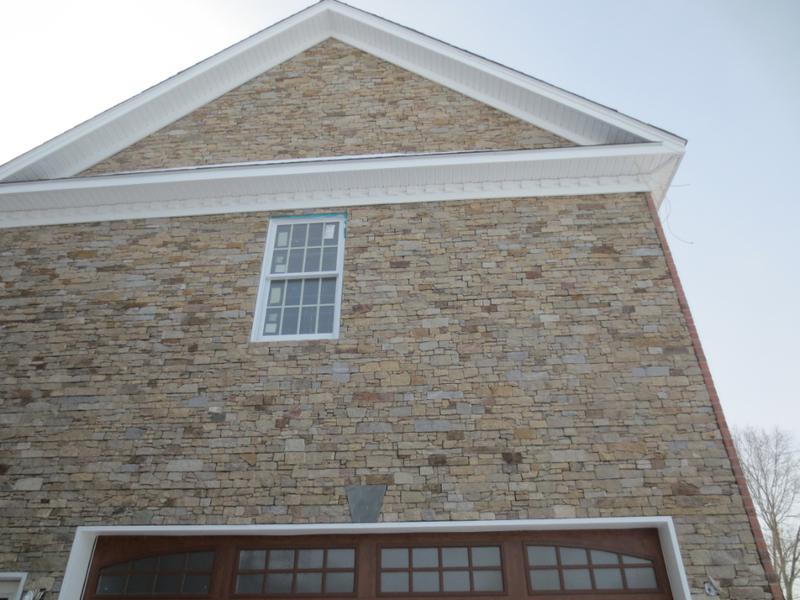 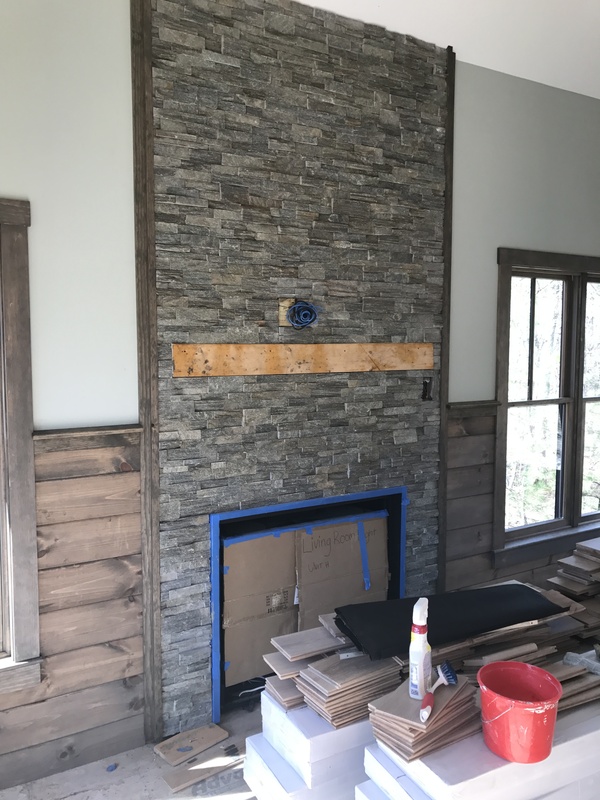 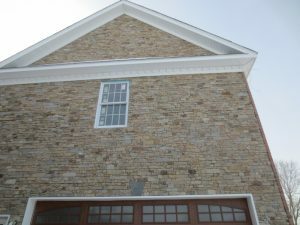 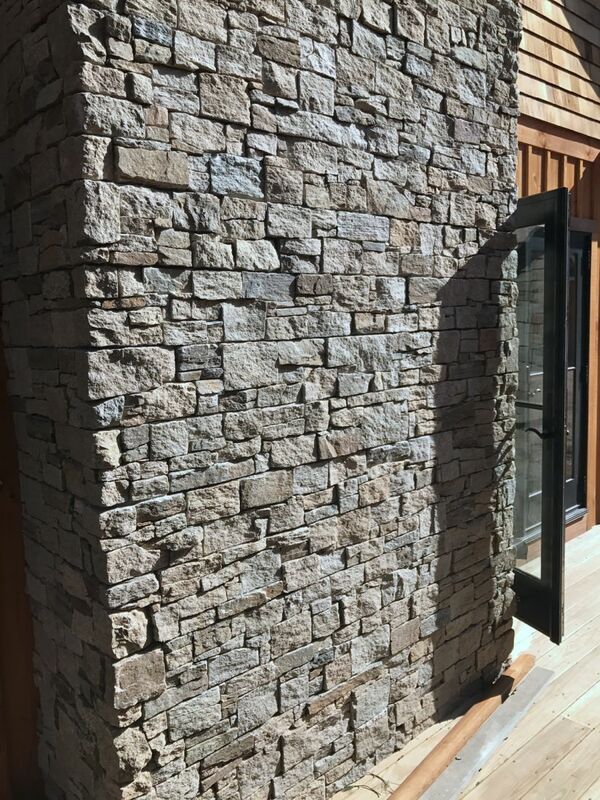 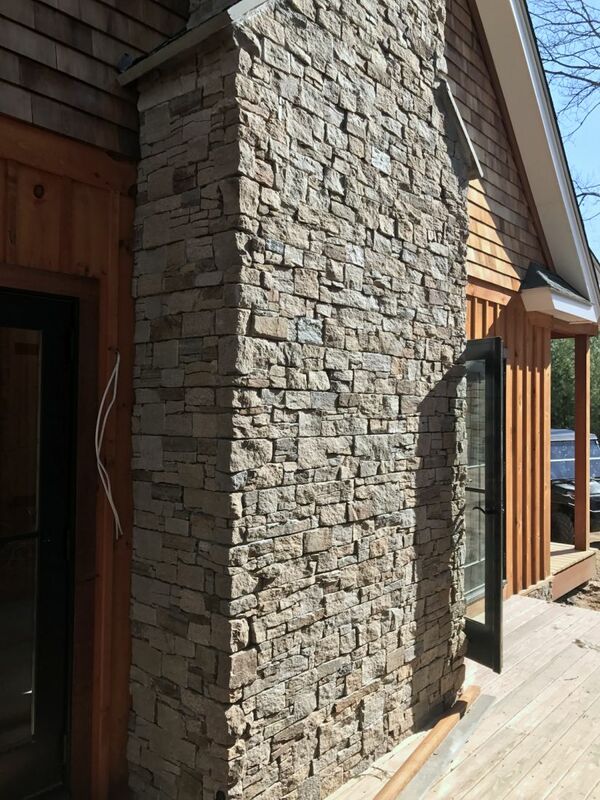 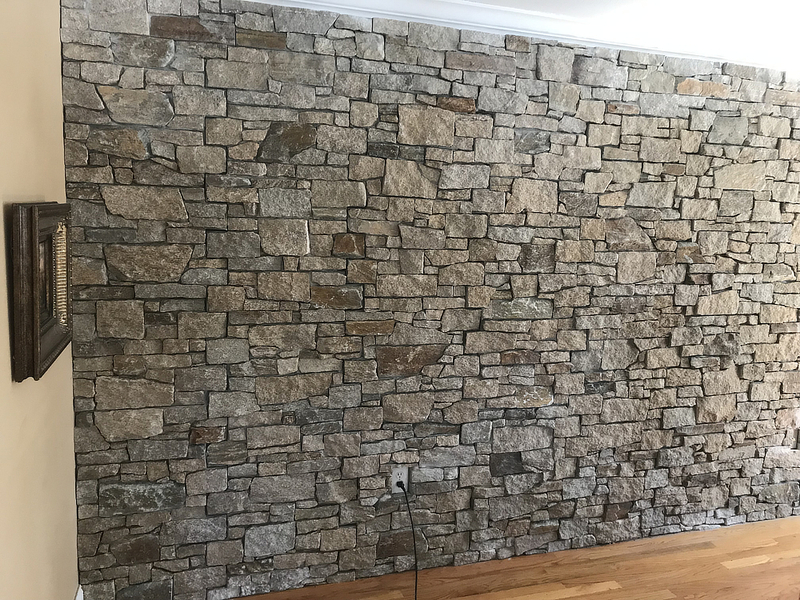 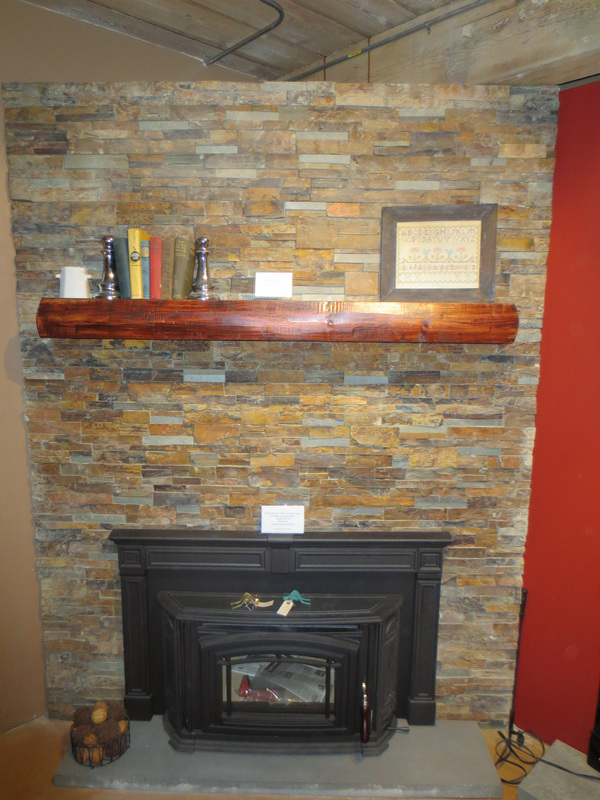 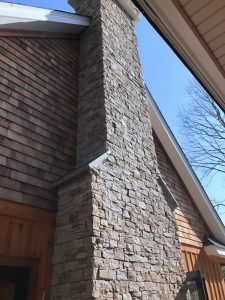 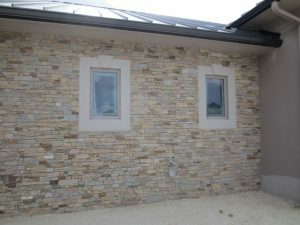 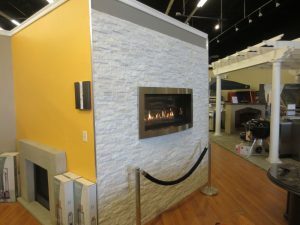 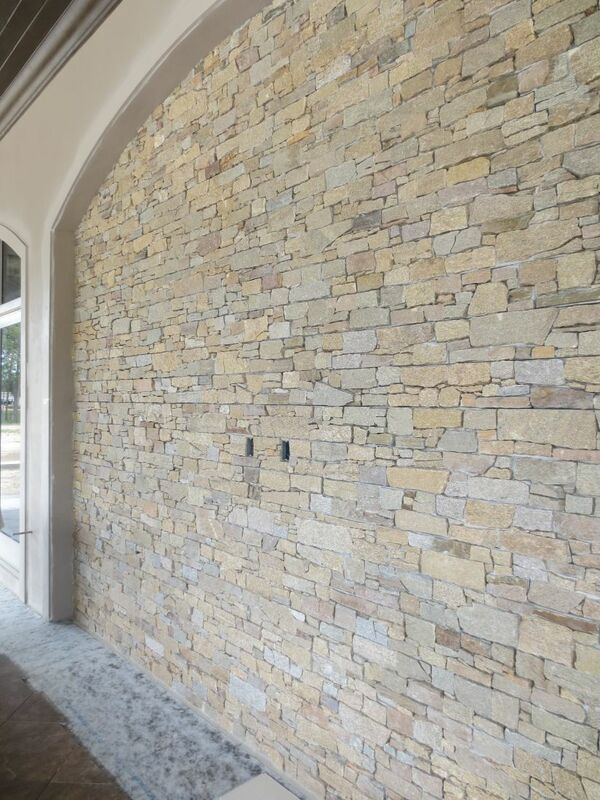 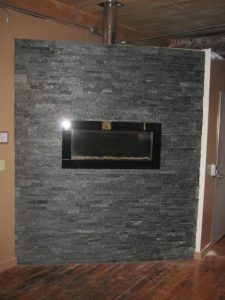 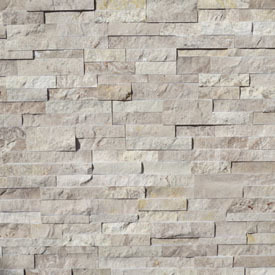 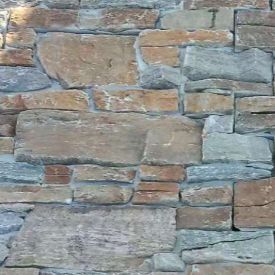 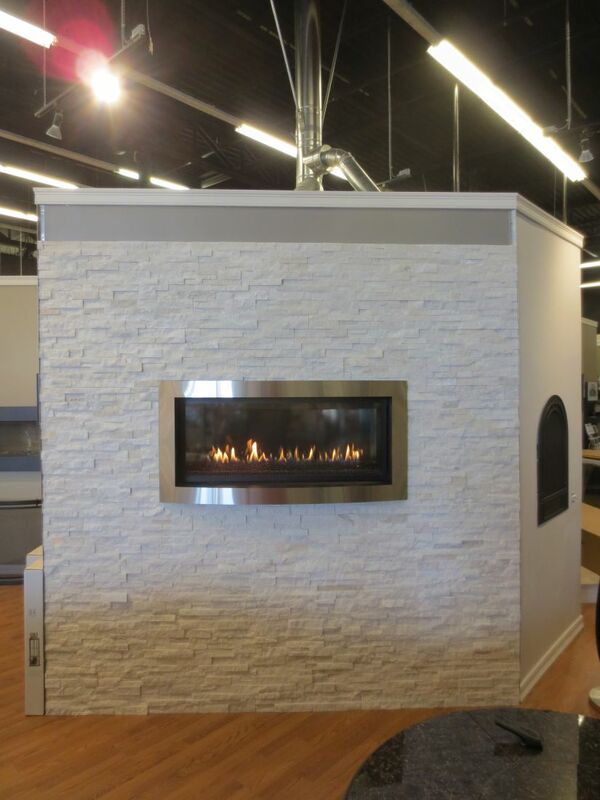 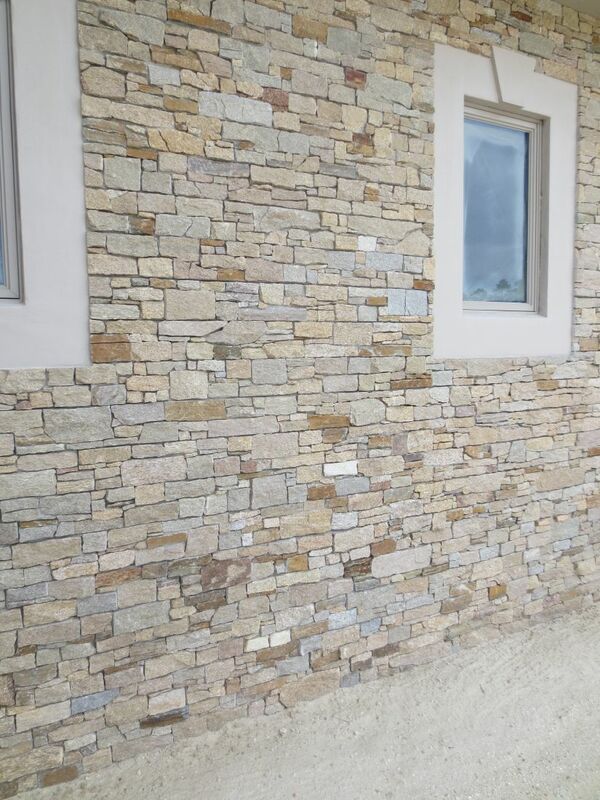 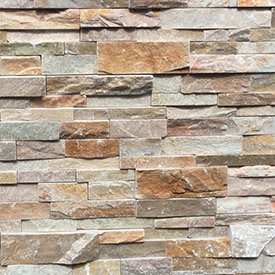 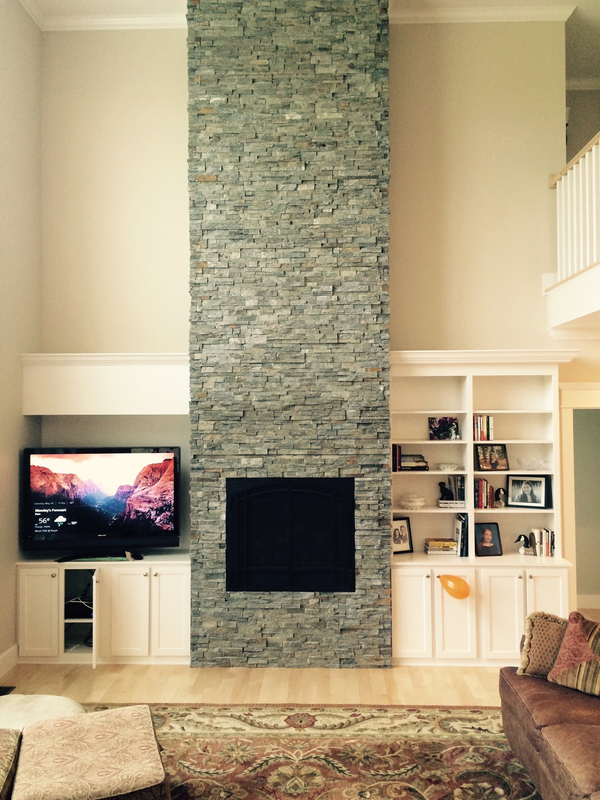 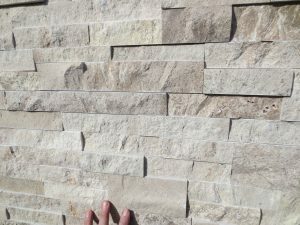 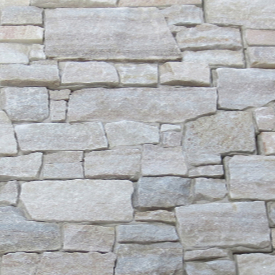 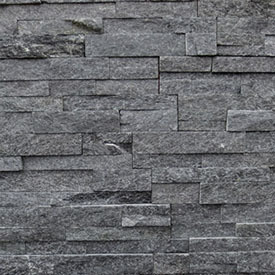 Ledge Stone Veneer Panels mean a super quick installation with an amazing finished look. 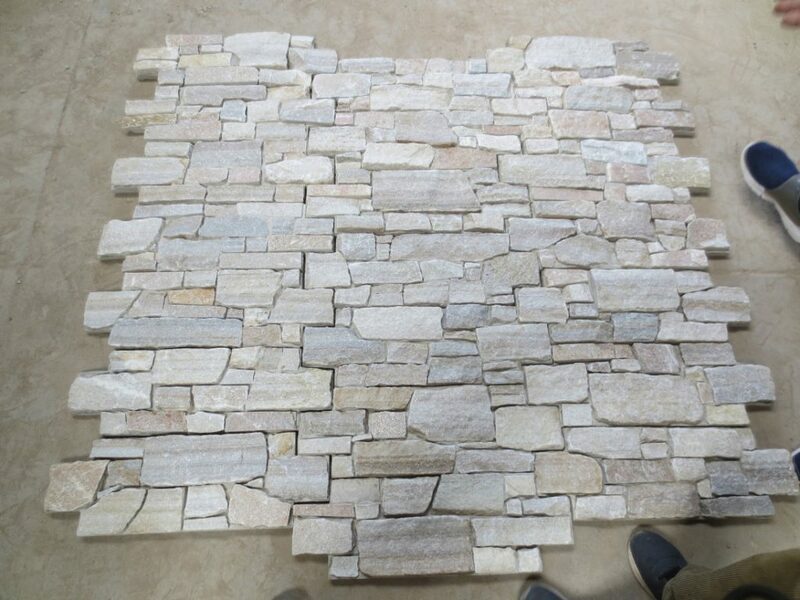 Instead of traditional “stone by stone” installation, the panels can be quickly applied like tiles, swiftly covering large areas. 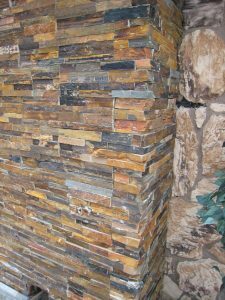 Best of all, being lightweight, they can go right up on a stud wall, without special footings or foundations. The pre-assembled, lightweight panels are made of thin pieces of real natural stone, that are bedded into a backer of reinforced cement. 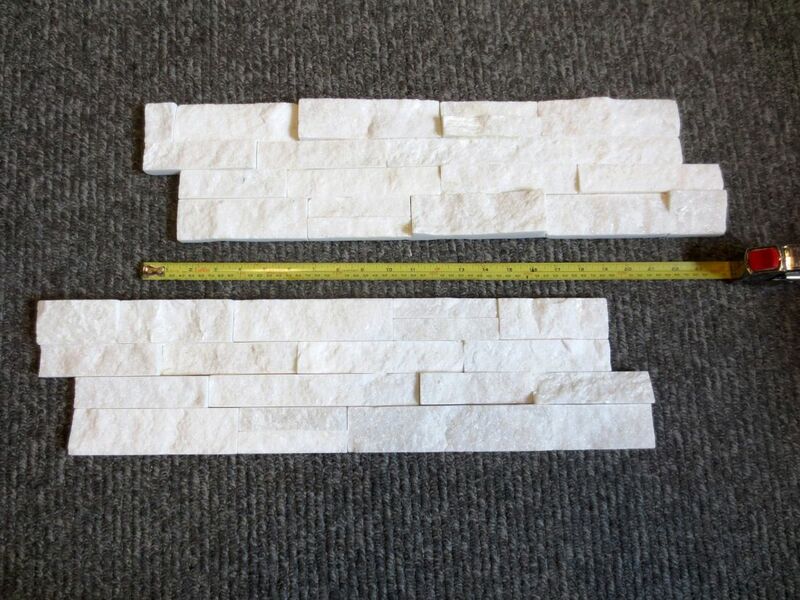 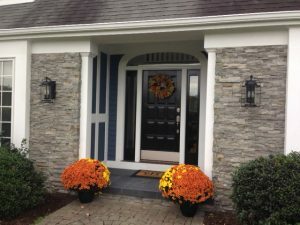 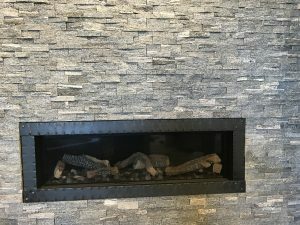 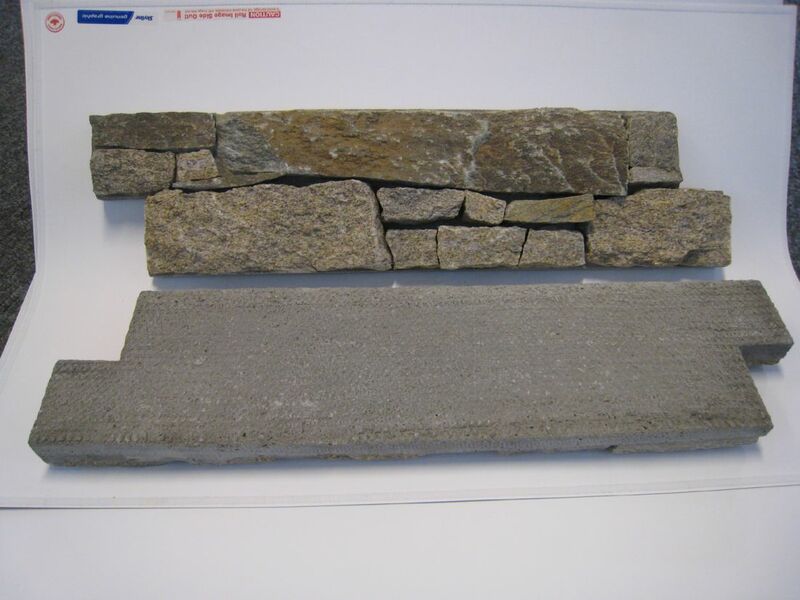 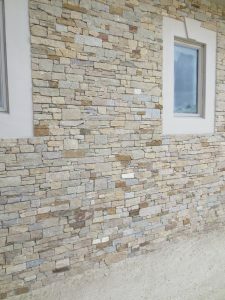 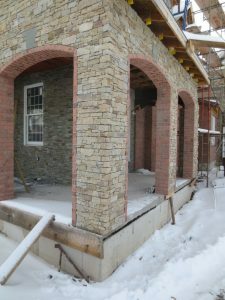 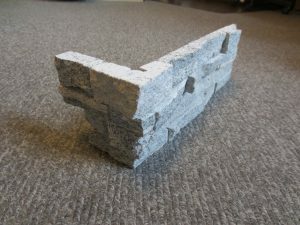 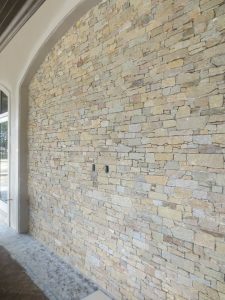 Having the cement backer allows the shape and size of the stone pieces to be much more natural and realistic, in comparison to the stone ledge panels that we have previously sold and that you might have seen elsewhere. 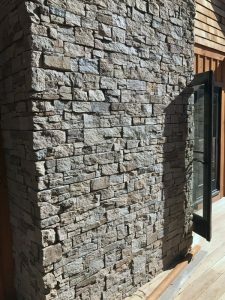 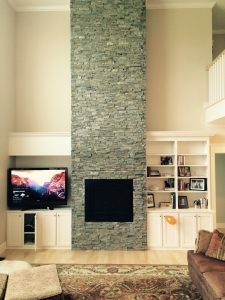 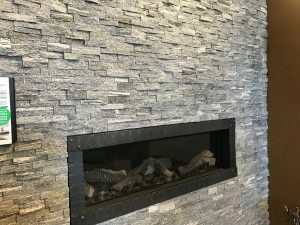 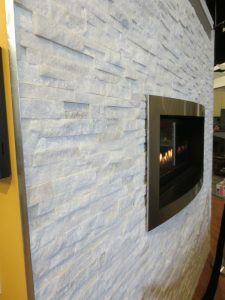 Unlike “cultured” (aka fake) stone veneers, which are made out of colored cement, our natural stone will not fade, and every piece is unique, with natural mineral texture and colors. 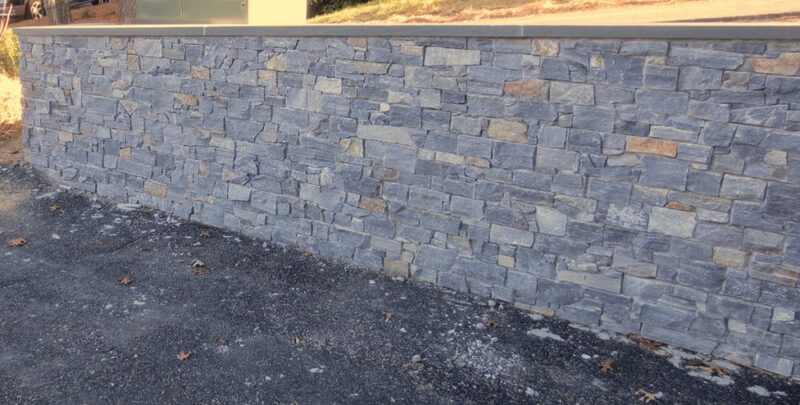 A classic mix of New England fieldstone colors: dark slatey blues and grays, with some tan and rusty brown stones to break up the pattern. 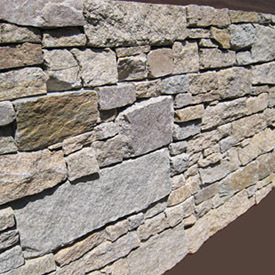 Goes perfectly with bluestone hearths or wall-caps. 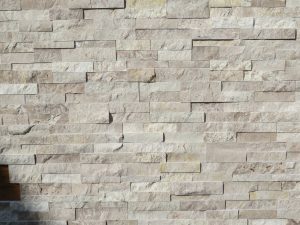 Cement-backed. 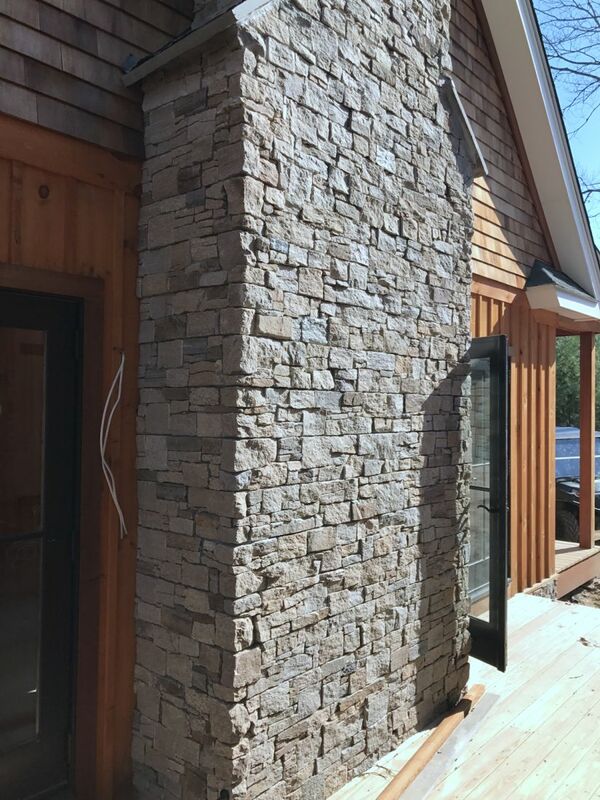 Our best selling color: a blend of tan, yellow and gray granites that looks at home in the woods, the mountains or even the beach. 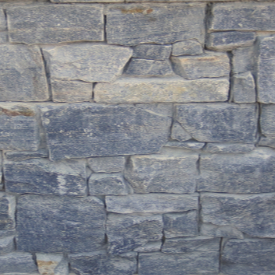 No-one will every mistake this stone for synthetic: it’s the real thing. Cement-backed. 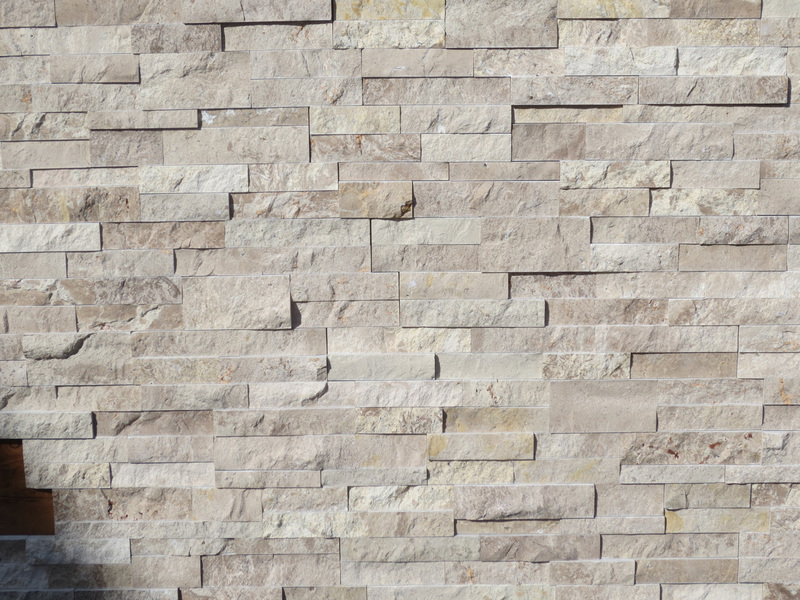 Beautiful pastels: whites, tans, with subtle touches of rose. 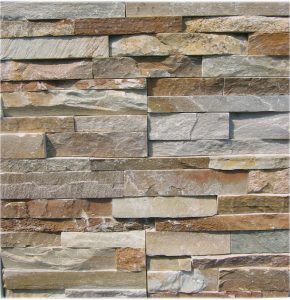 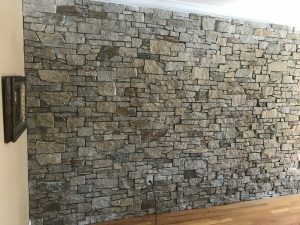 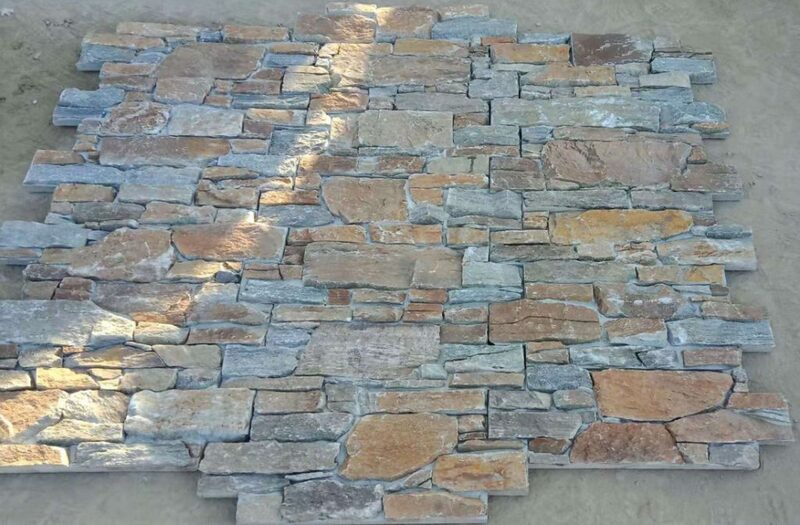 This stone is a great fit for beach-y decors, modern designs, or anyone who wants to get away from heavy dark stone colors. 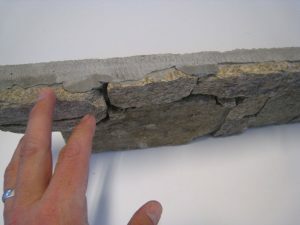 Cement-backed. 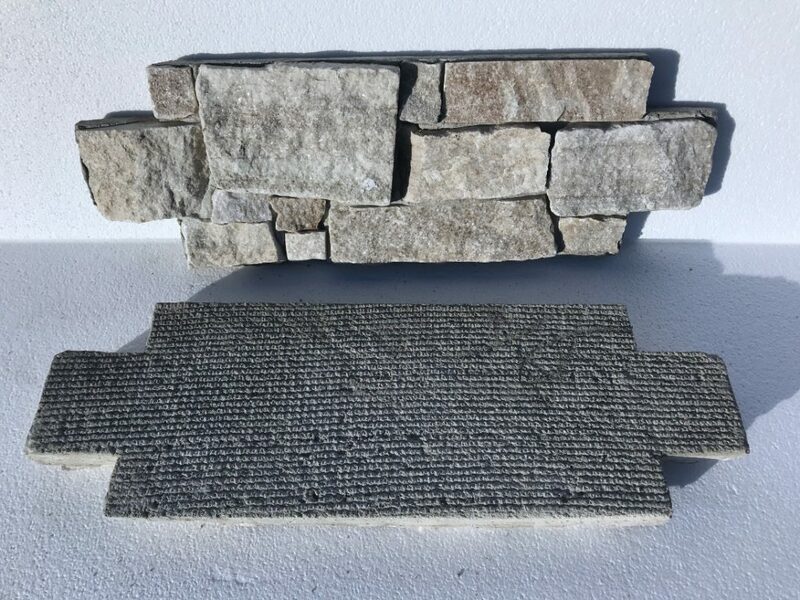 Crisp salt & pepper gray granite for a classic New England look. Rich, dark red brown tones work well with mahogany, cherry and other wood colors. 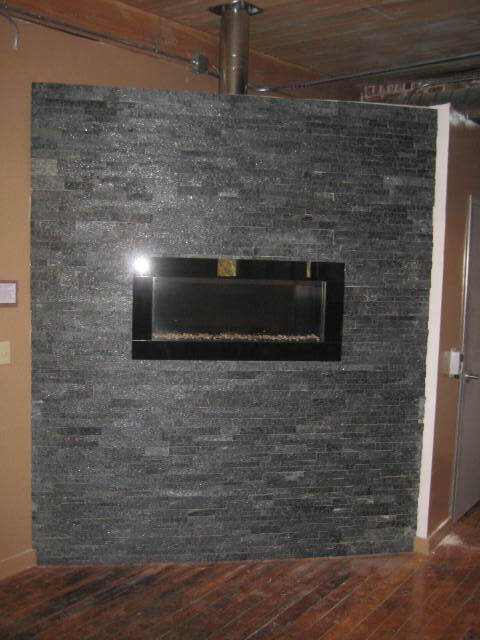 Instant gravitas for any room. 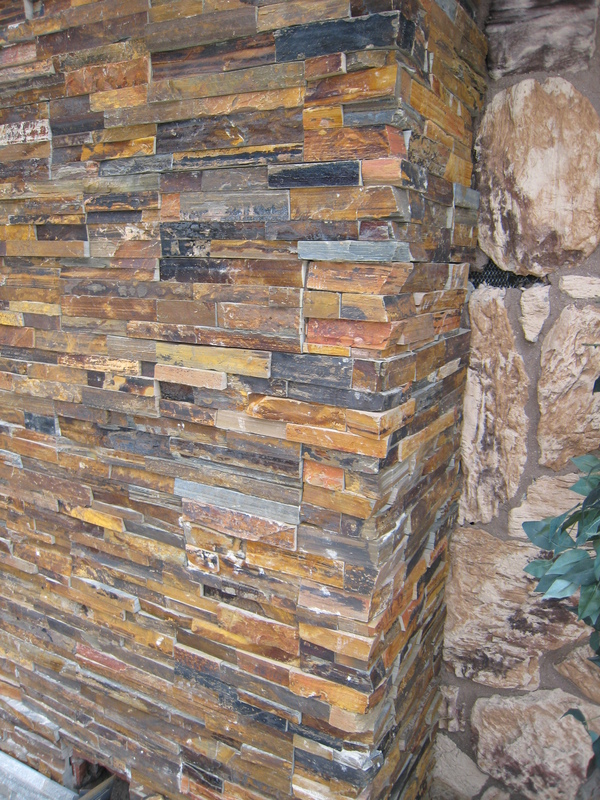 Old world colors: beiges, browns and cream tones, with natural patina and texture. 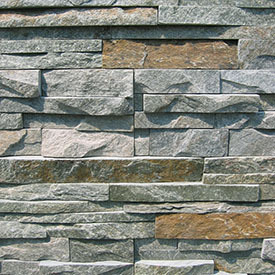 The subtle color palette means this stone will go with almost any décor. A dark charcoal gray color with a crystal sparkle that gives it life, this is the perfect, dramatic stone for a contemporary accent wall. 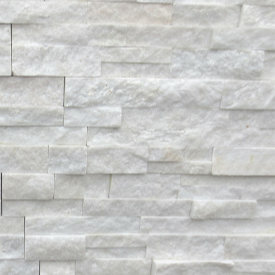 Bright, white marble with just a touch of gray veining for a clean, fresh look. 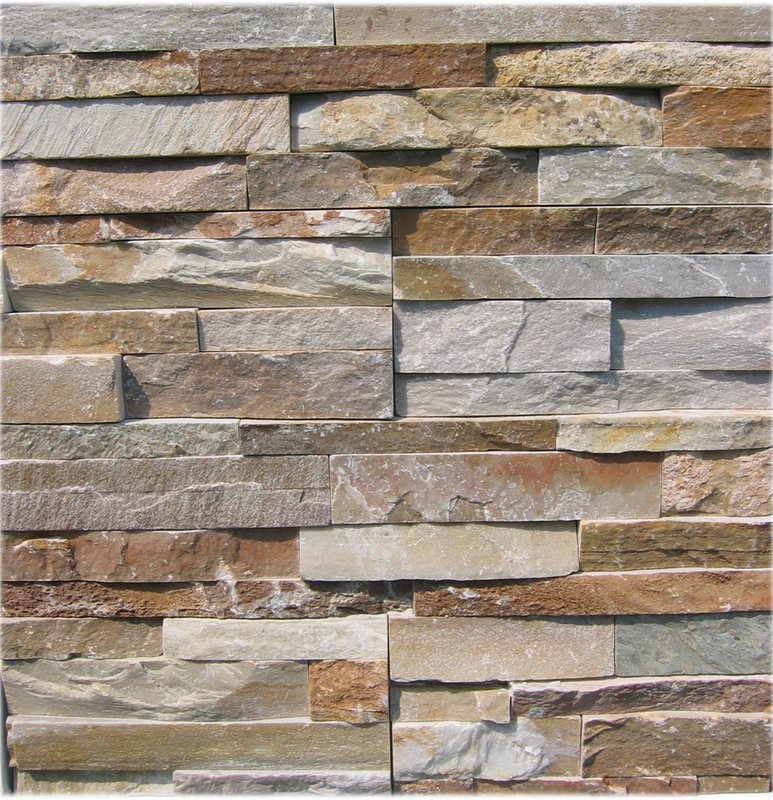 The colors of the southwest: yellows, oranges, browns and whites. 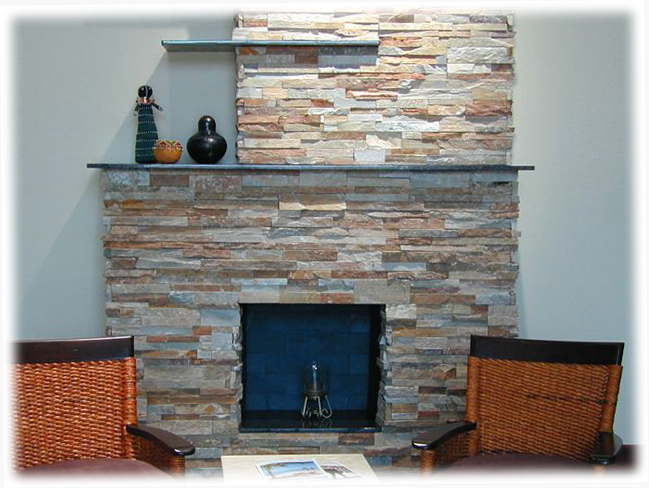 A bright, warm color blend that works well with many interiors, especially light colored woods. 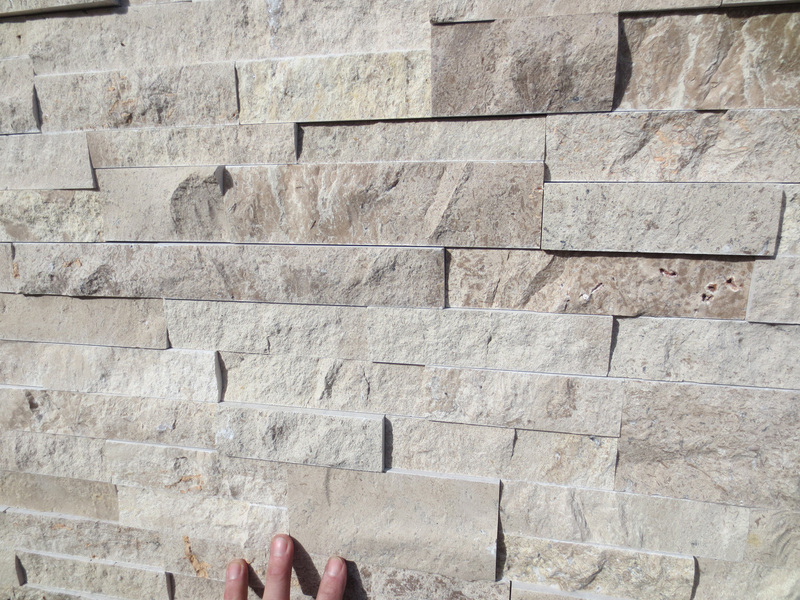 Each panel is 24″ × 8″, and only about 1 1/2″ thick. 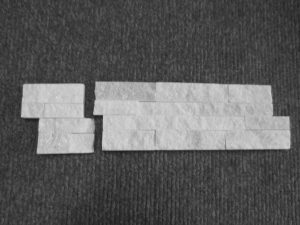 Simply mud-set the panels on metal lath screwed to concrete backer-board, stagger the joints, and the seams between the panels disappear. 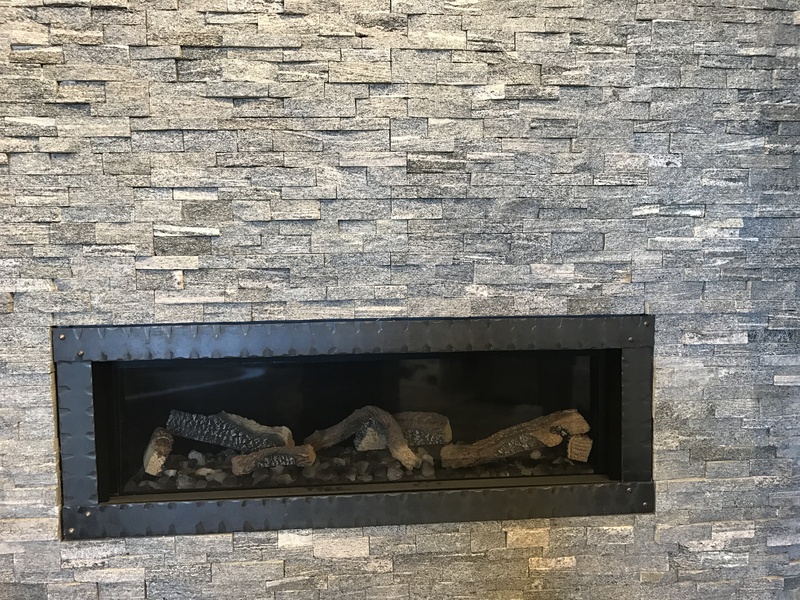 Because you are working with exactly sized panels, there is no individual fitting of stones or the need to fill wide seams with grout. 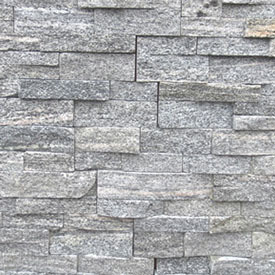 Panels can be trimmed to length on an ordinary tile saw with a diamond blade. We also have corner pieces that wrap 6″ around corners or into a firebox. 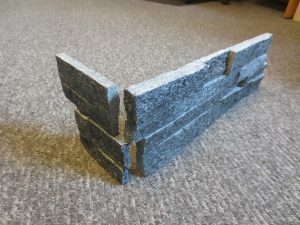 The corners are made from thick, solid stones, cut from behind into a L shape, not mitred or glued. 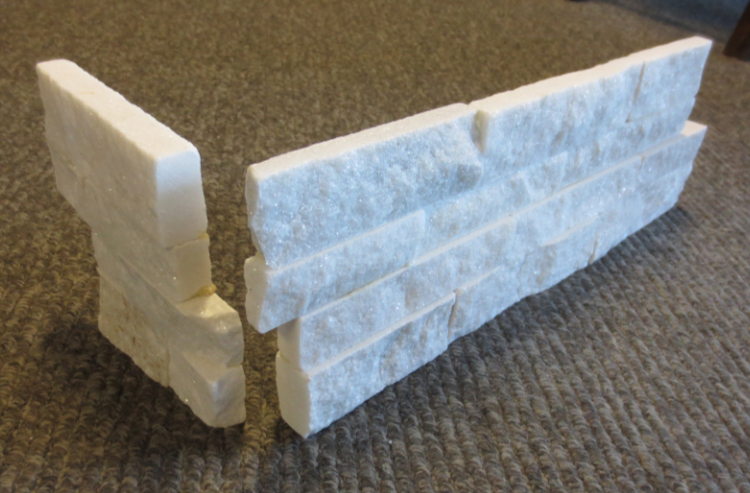 Two piece corner set, Alpine White, Sparkle Black and Travertine only. 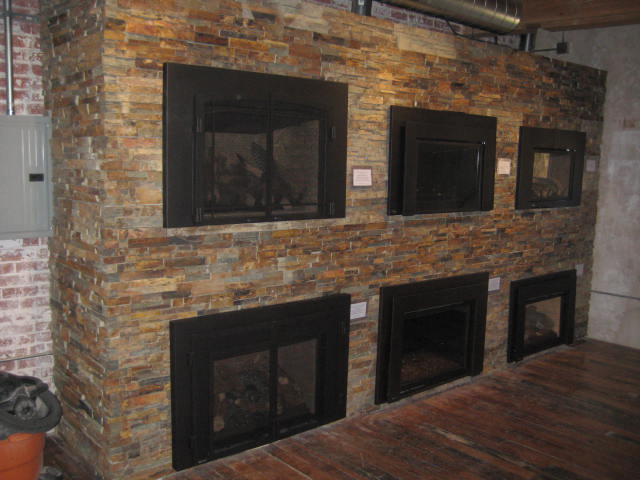 We have a network of dealers throughout New England: call or email us for the name of the one closest to you. 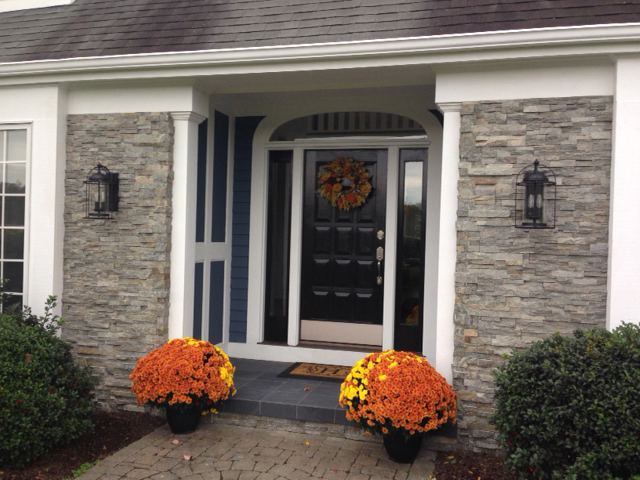 If you are outside of New England and would like to become a dealer, please Contact Us! 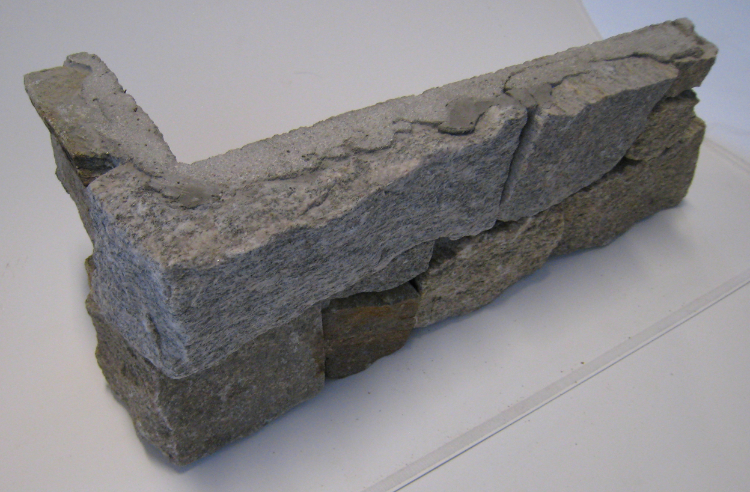 Outside of New England, we do ship direct for larger orders (200+ SF). If you would like a quote, send us an email with how many square feet you need to cover. Remember to add 5-10% extra stone for cutting waste. 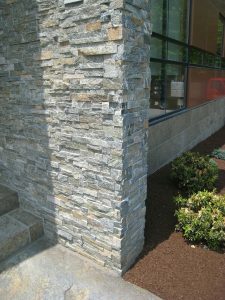 If you have outside corners to cover, let us know how many linear feet (measured vertically) of corners you’ll need. 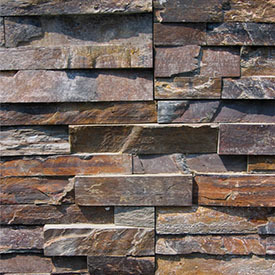 Freight is a big part of the final cost of any stone project, because stone is heavy! So for a freight quote for your project, we’ll need to know your town, state, zip code, and if we are shipping to a residence or a business. Lift-gate unloading to curbside is available in some locations, but its best if you have a forklift on your jobsite .